Spectrum provides classes and functions to estimate Power Spectral Densities (PSD hereafter). This documentation will not describe PSD theoritical background, which can be found in many good books and references. Therefore, we consider that the reader is aware of some terminology used here below. 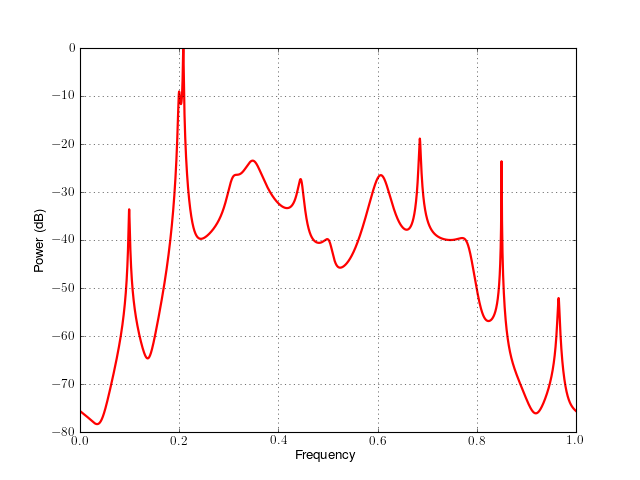 where data contains a cosine signal with a frequency of 200Hz buried in white noise (amplitude 0.1). 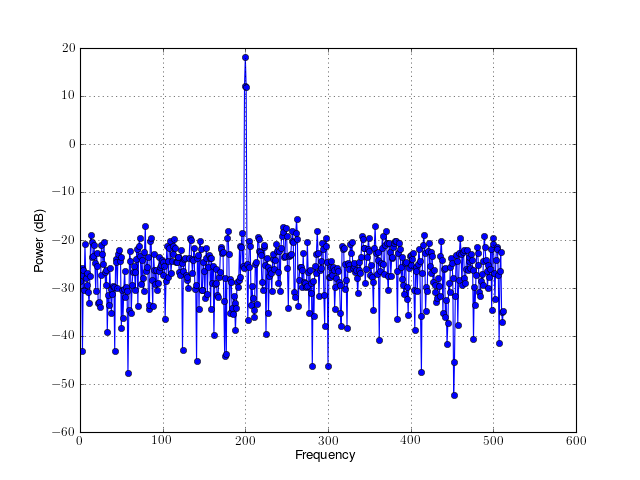 The data has a length of N=1024 and the sampling is 1024Hz. By convention, the psd attribute contains the default PSD (either one-sided for real data or two-sided for the complex data). print(p) # prints some information about the PSD. where 15,15 and 30 are arguments of the ARMA model (see spectrum.parma), and NFFT is the number of final points. Since the data is complex, the PSD (stored in p.psd) is a twosided PSD. Note also that all optional arguments accepted by matplotlib function are also available in this implementation. The object-oriented approach can be replaced by a functional one if required. Nevertheless, as mentionned earlier, this approach required more expertise and could easily lead to errors. The following example is identical to the previous piece of code. 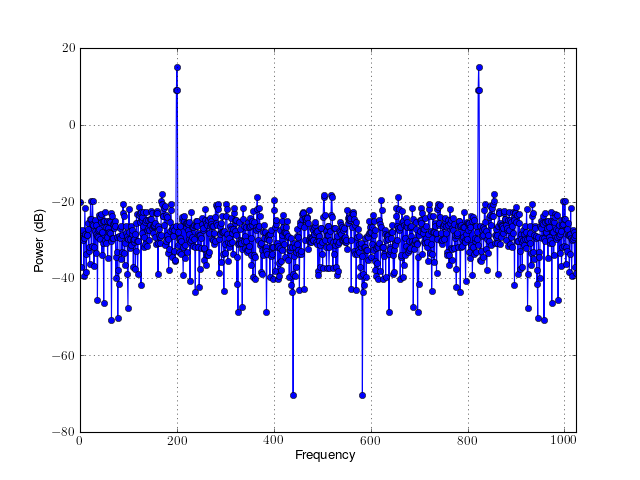 The parameter 30 (line 3) is the correlation lag that should be twice as much as the required AR and MA coefficient number (see reference guide for details). Since the data are complex data, the default plot is a two-sided PSD. The frequency vector is not provided.